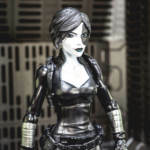 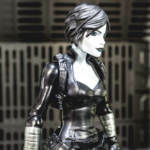 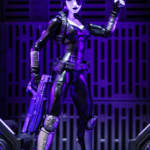 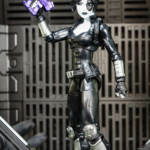 Domino is a mutant with the ability to subliminally and psionically initiate random telekinetic acts that affect probability in her favor by making improbable (but not impossible) things to occur within her line of sight, thus causing her to have “good luck” and her opponents to have “bad luck.” This phenomenon can be anything from an enemy’s equipment failure to hitting just the right switch with a stray shot to shut down an overloading nuclear reactor. 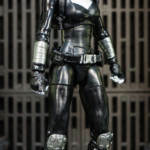 This unconsciously controlled talent is triggered when she is in a stressful situation (such as fighting or escaping). 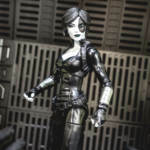 This effect constantly emanates from her body at all times and is completely subconscious. 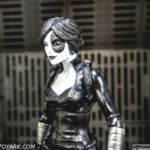 However, it is also largely participatory – in order for the luck to take effect, Domino herself must engage in an action whose chance she can affect. 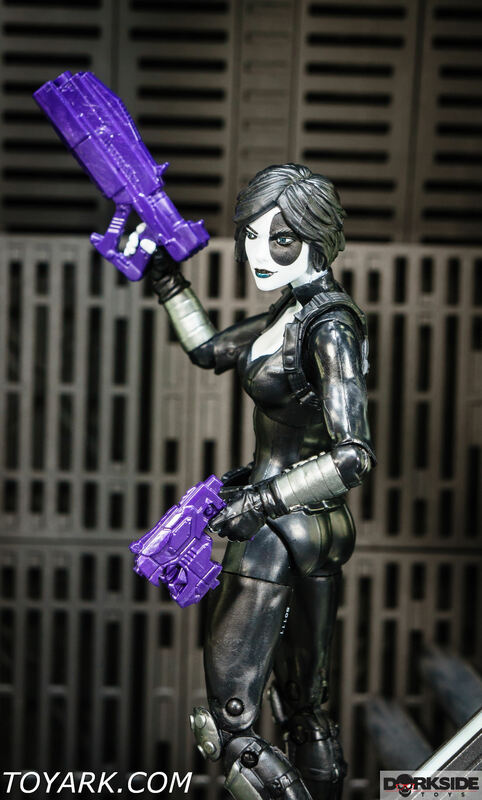 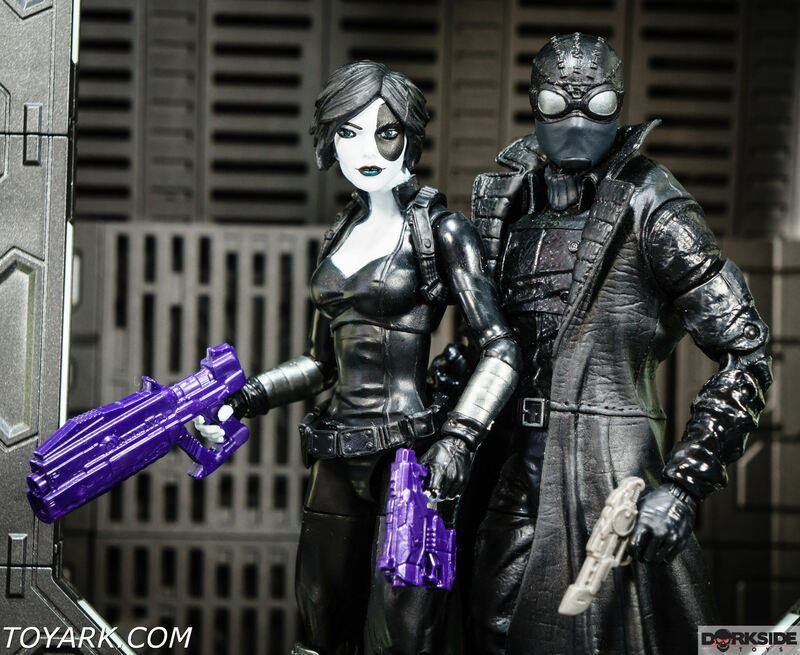 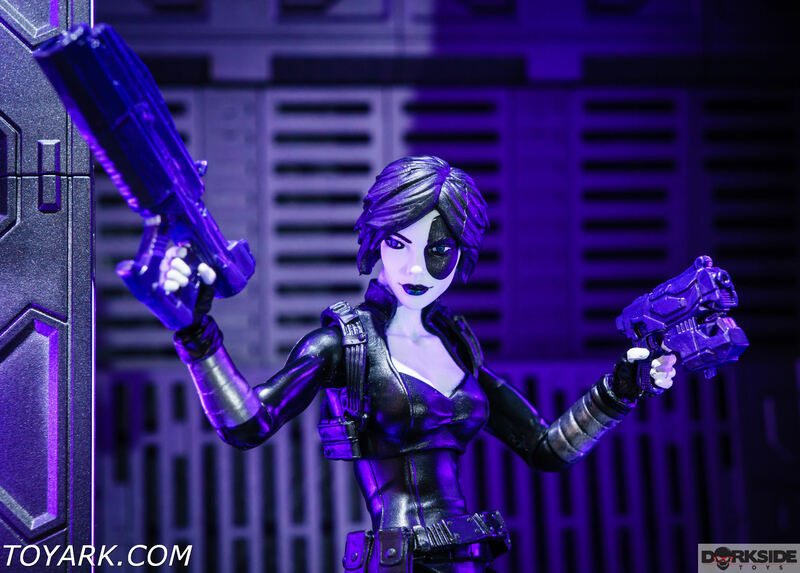 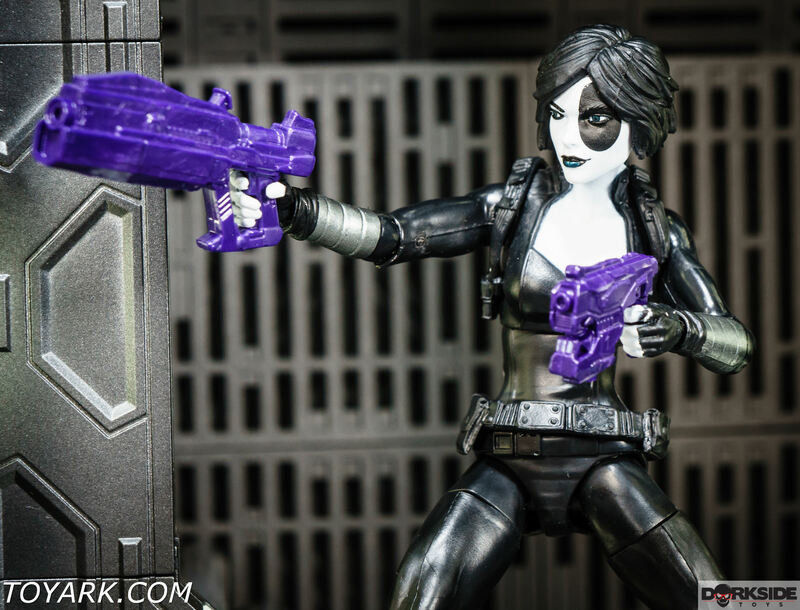 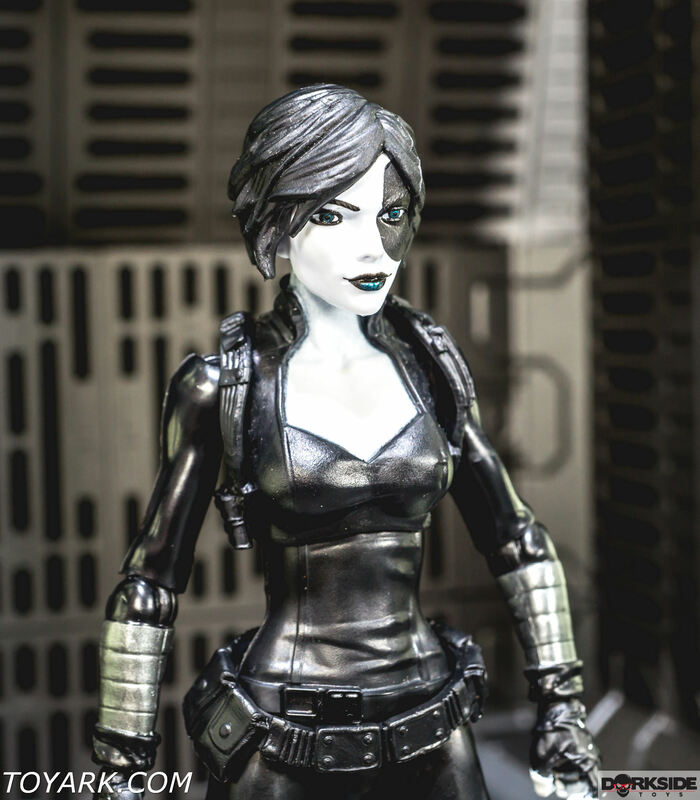 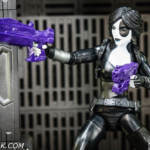 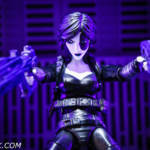 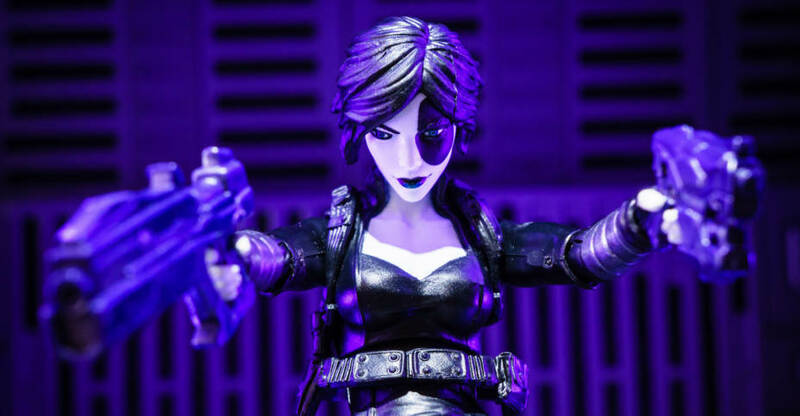 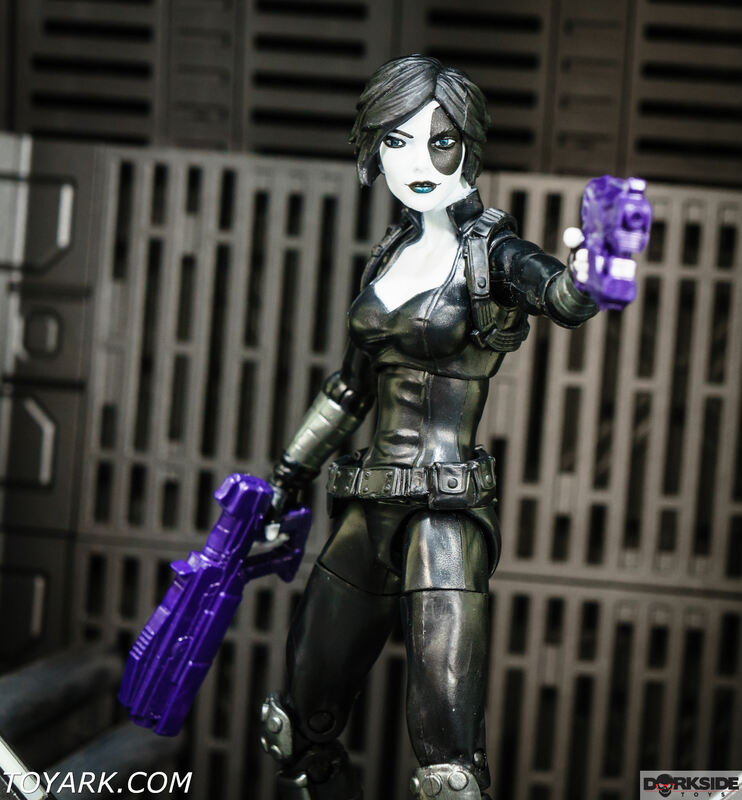 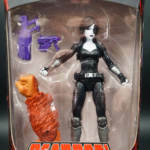 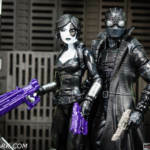 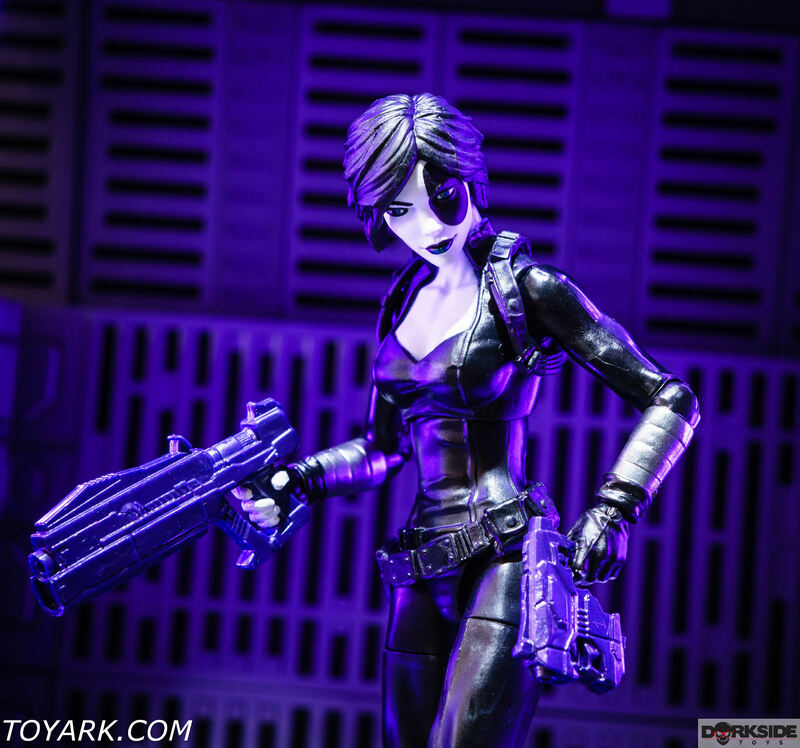 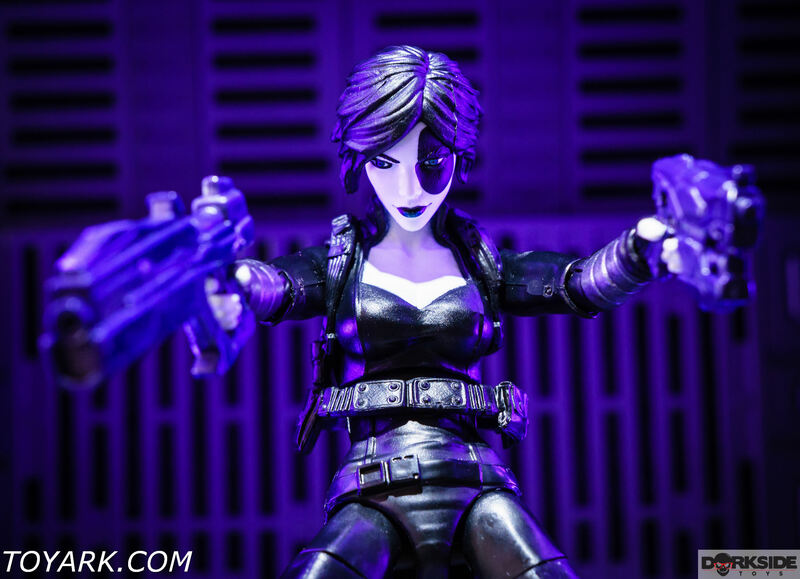 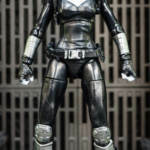 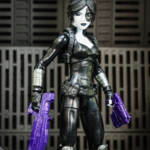 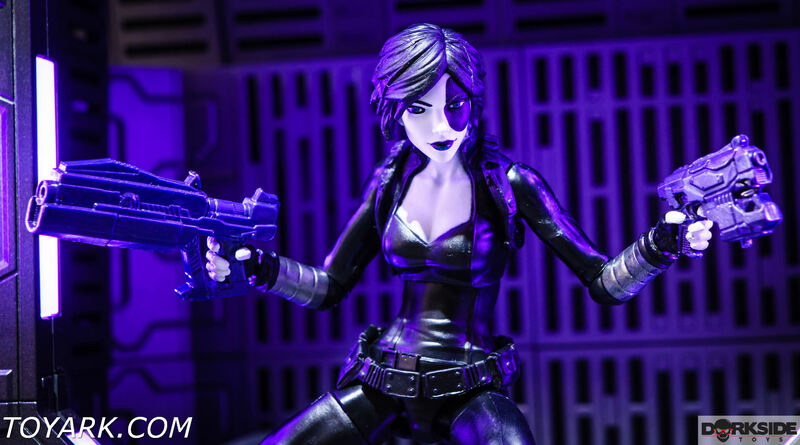 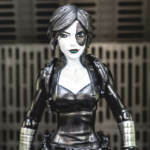 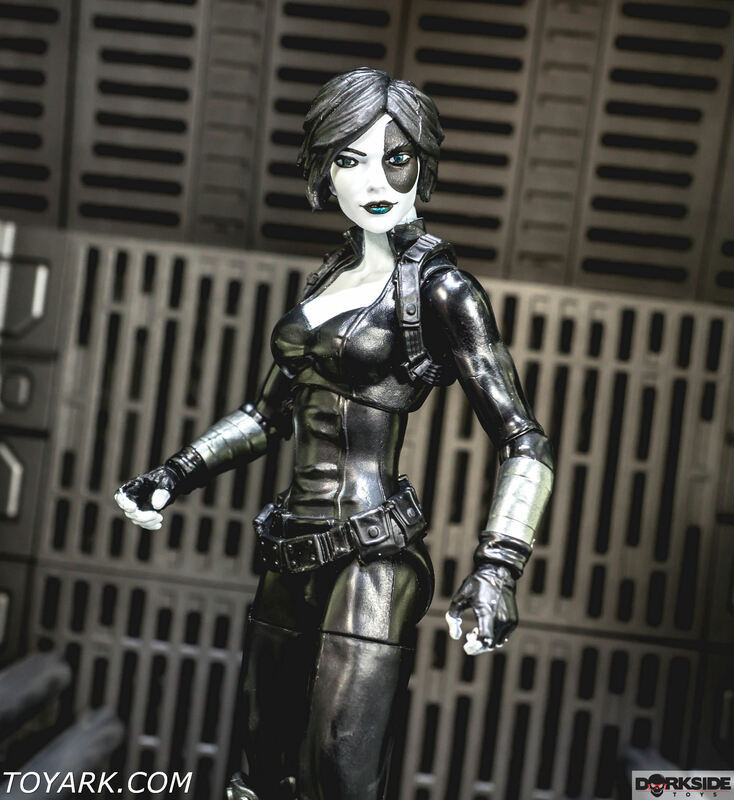 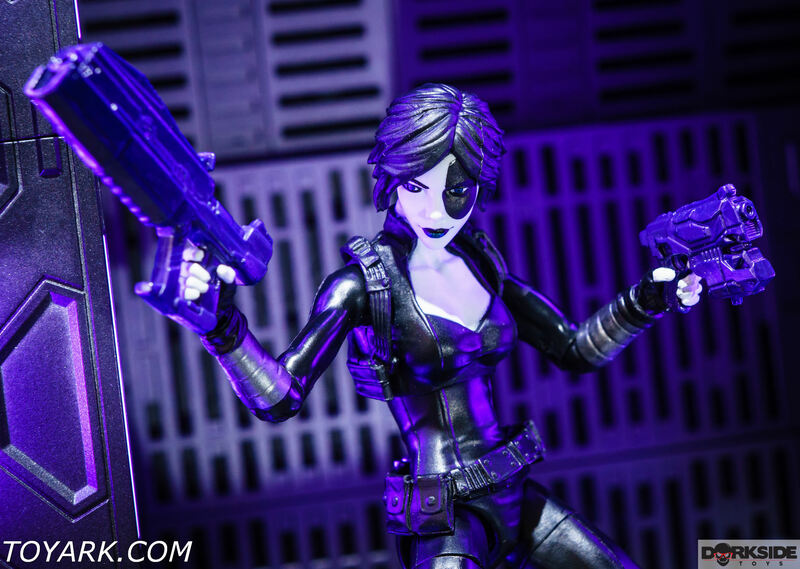 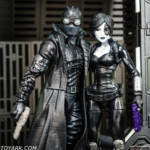 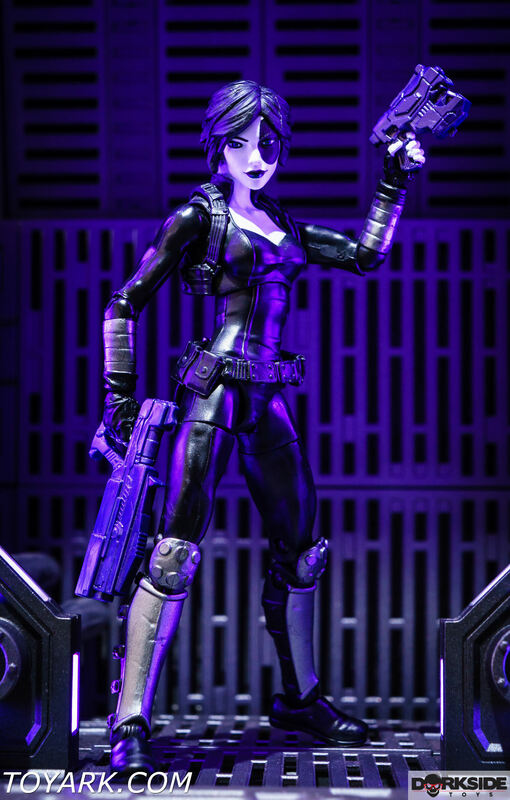 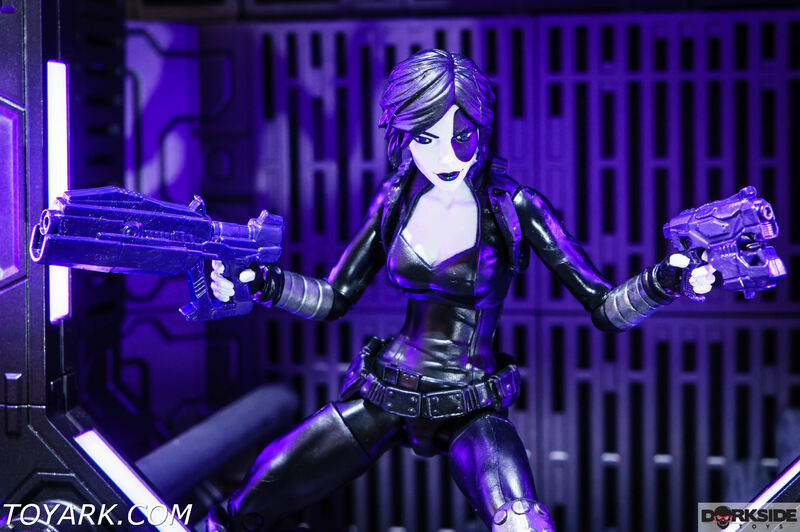 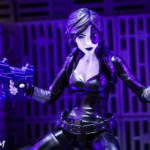 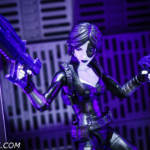 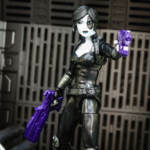 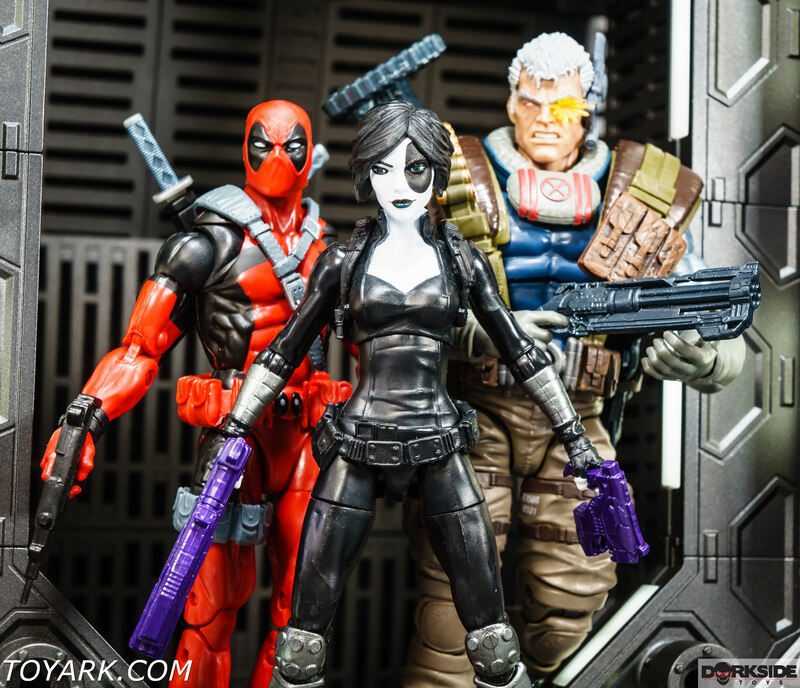 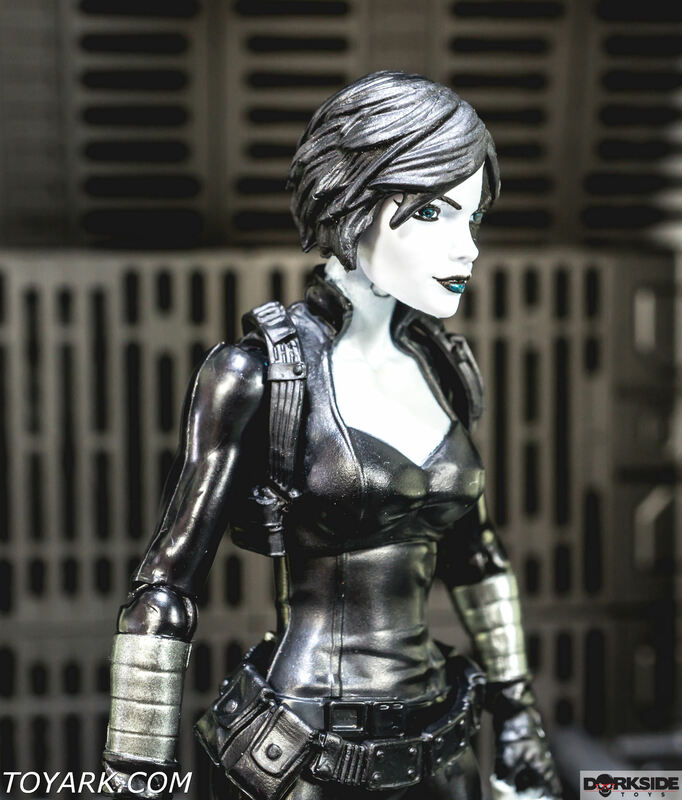 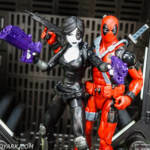 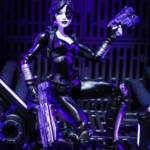 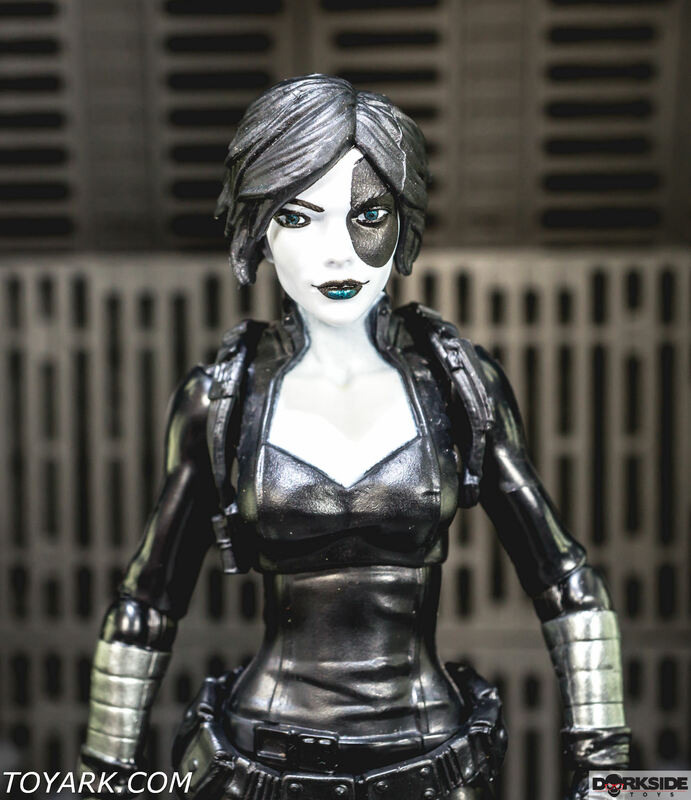 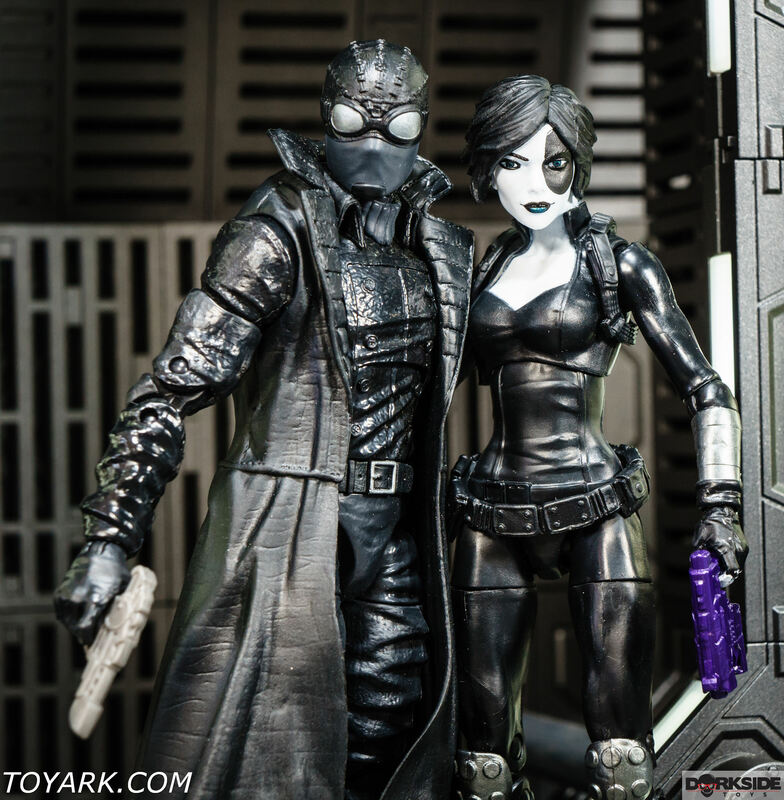 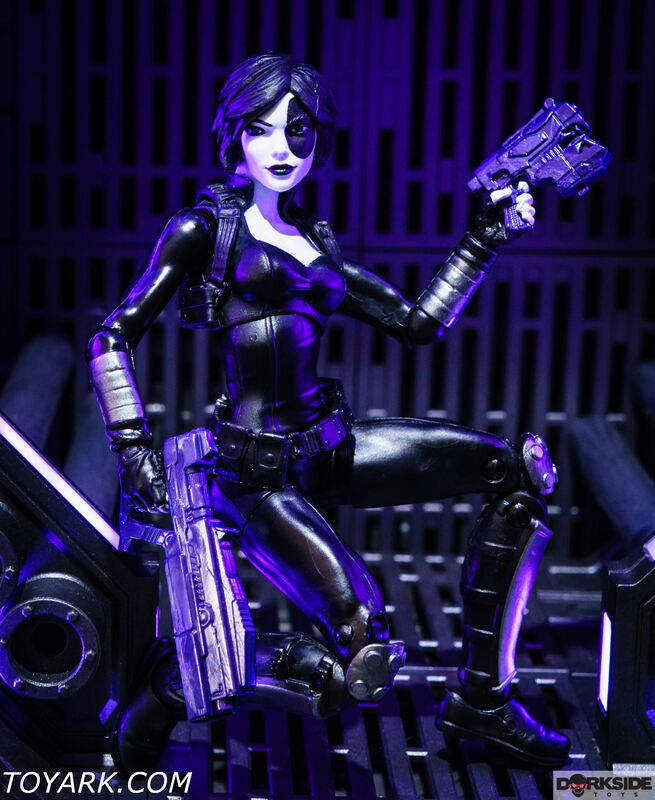 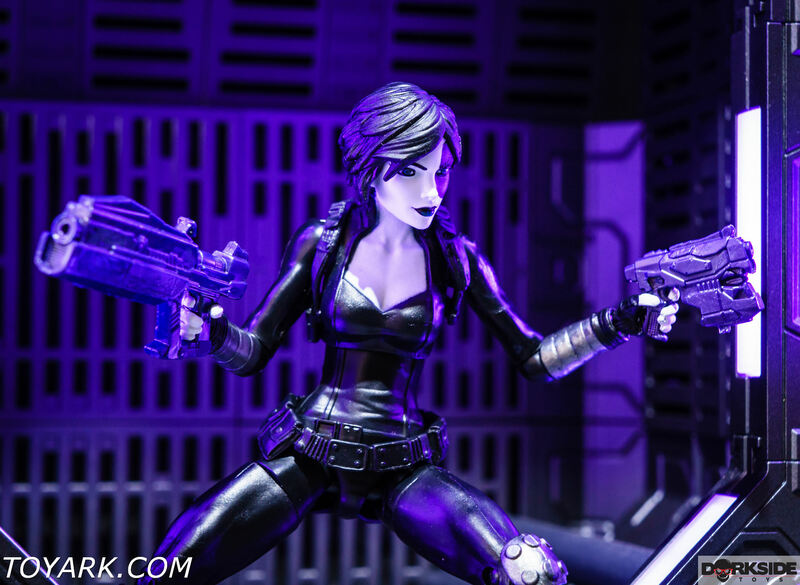 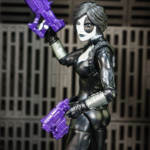 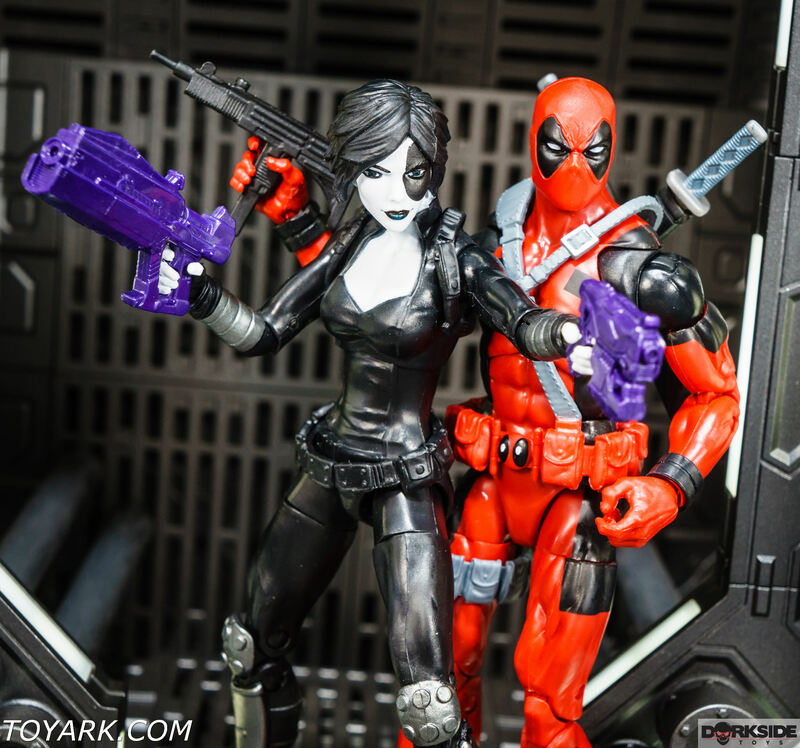 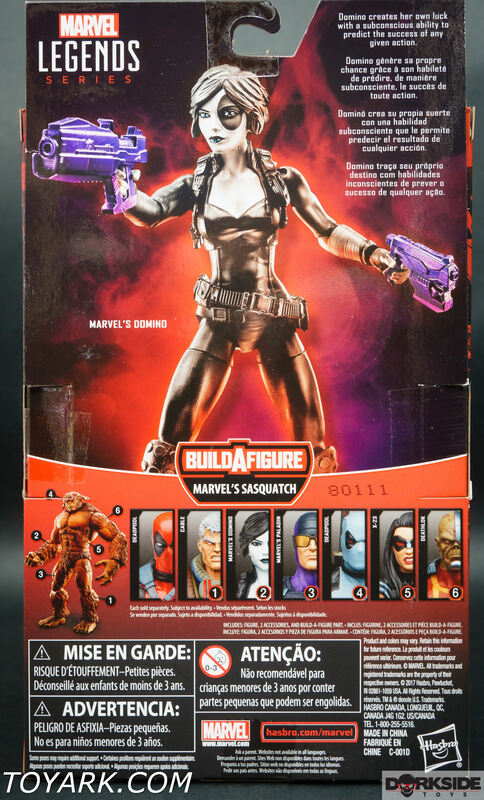 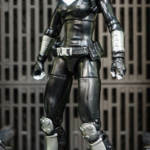 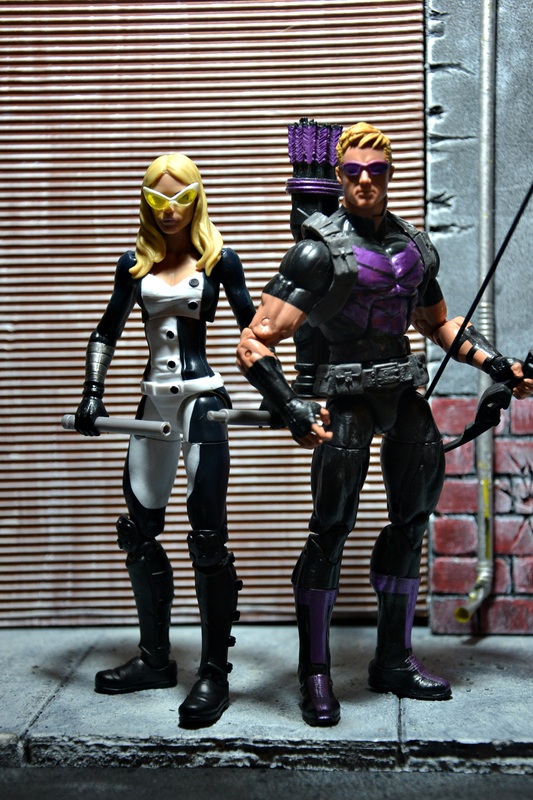 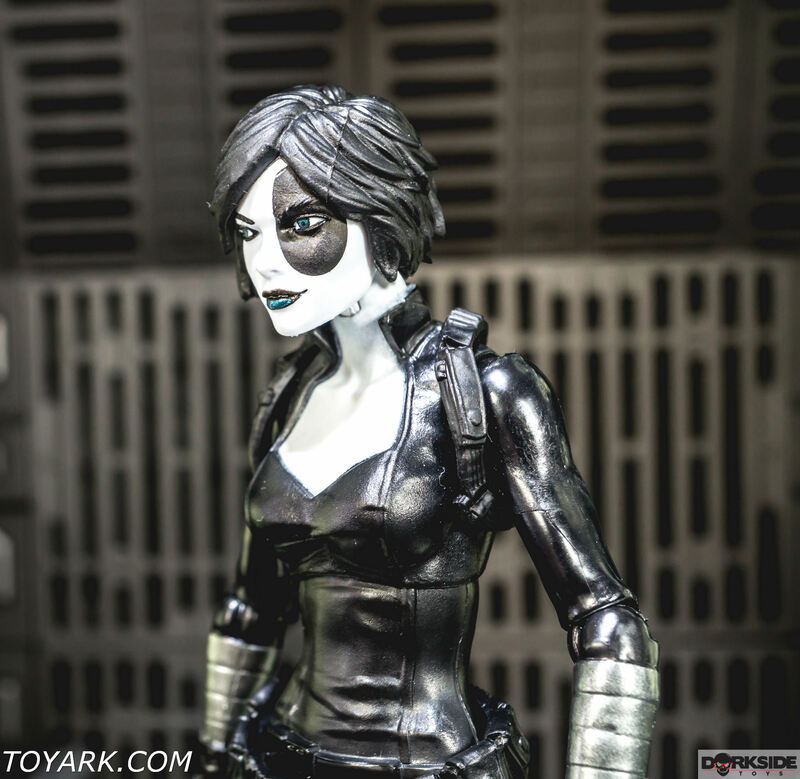 Domino is another smash hit from this Deadpool ML wave. 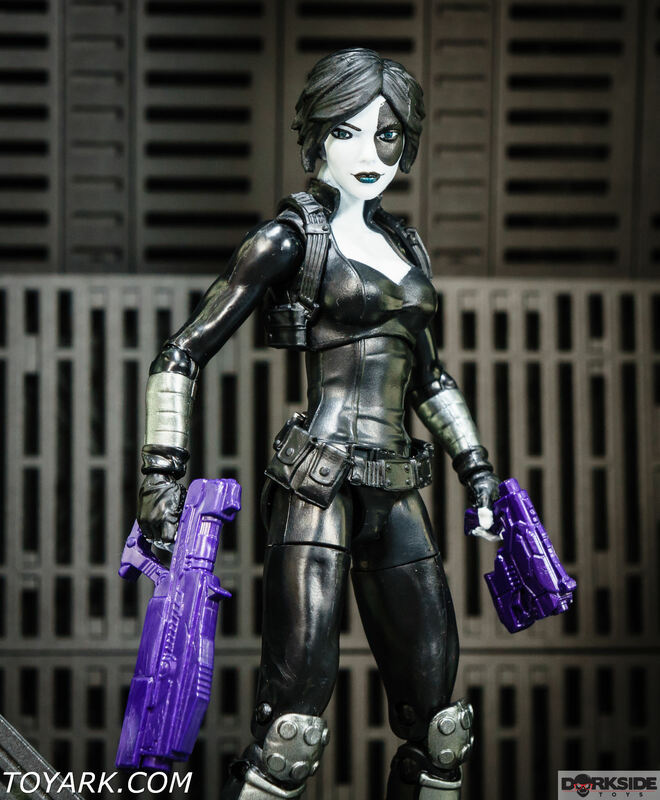 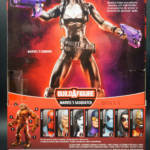 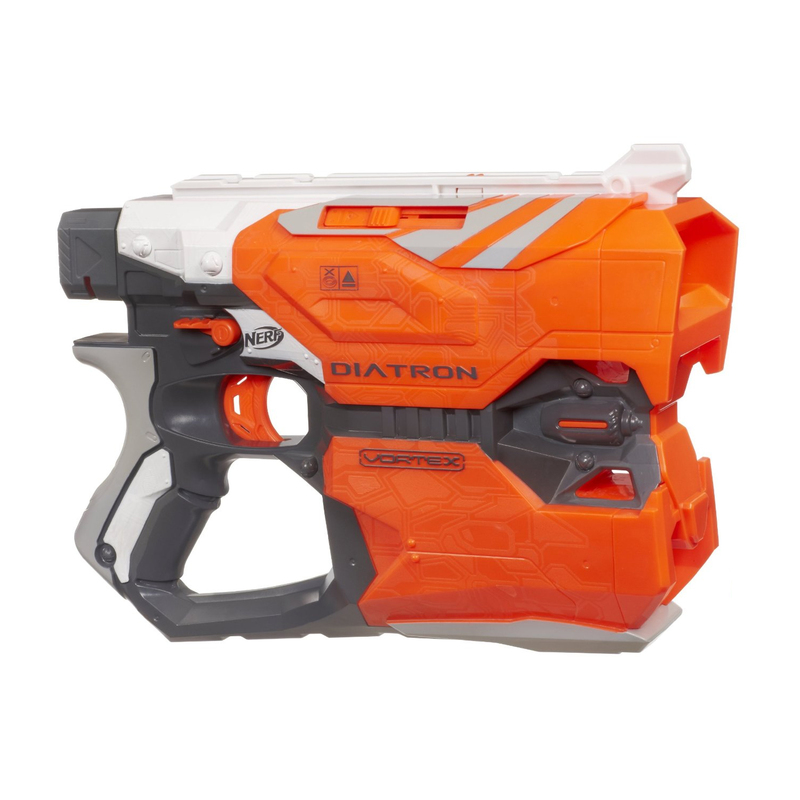 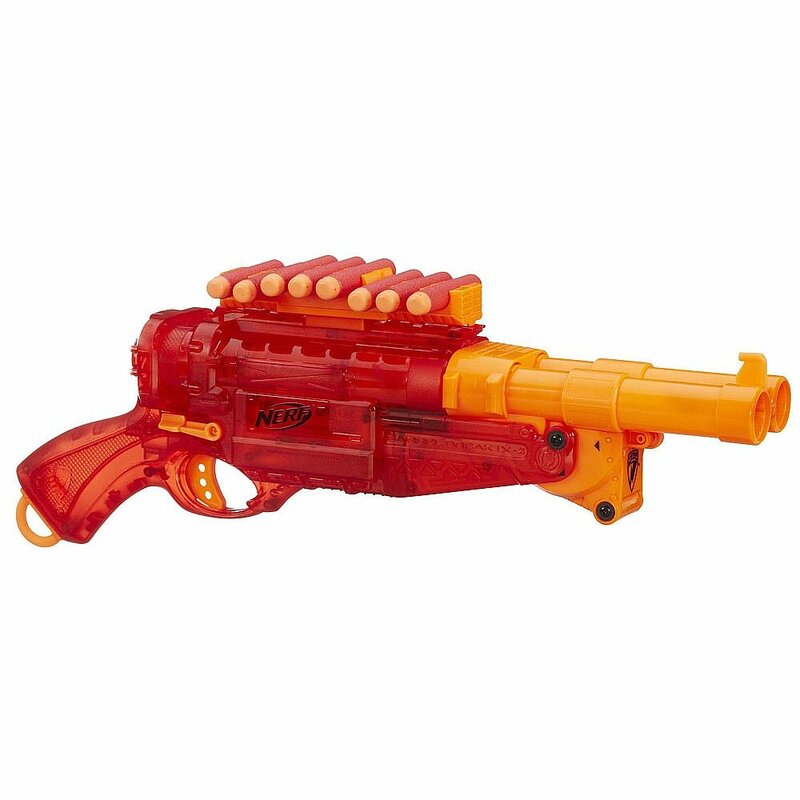 Perfect design with guns to hash out major comic book style action figure nerd business. 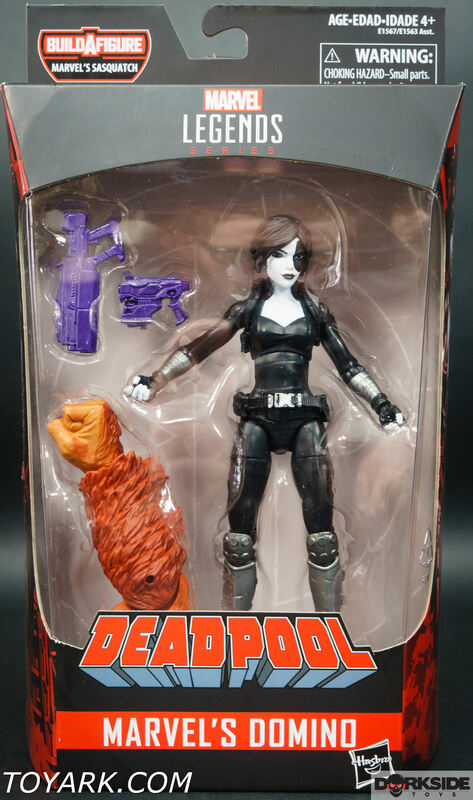 This is another high demand figure that will be very hard to find at retail. 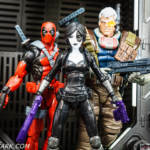 Deadpool and X-Force fans got one awesome wave to collect. 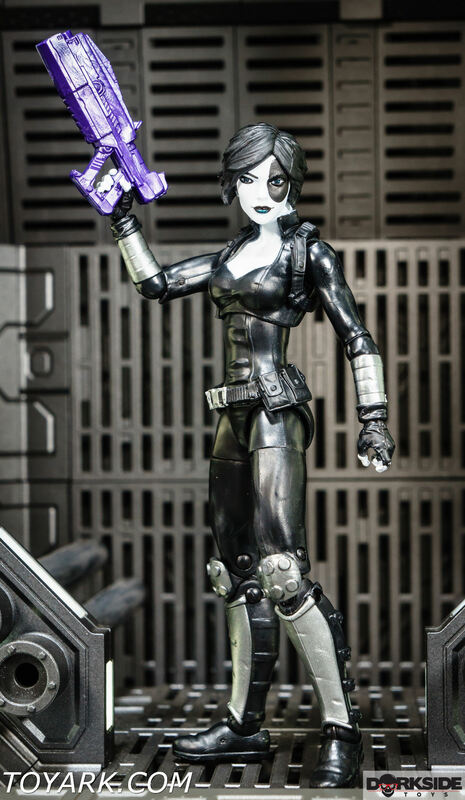 A+ figure with solid weapons.